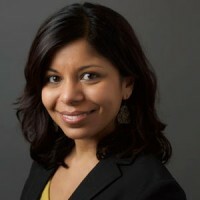 Seema Patel is the Senior Associate for Fuels for the Global Alliance for Clean Cookstoves. Prior to joining the United Nations Foundation, she was a manager at an energy and environmental management consulting firm supporting the U.S. Department of Energy’s Bioenergy Technologies Office. Her work consisted of leading a team of consultants to evaluate and communicate the R&D efforts of the Bioenergy Office and assisting them in implementing their programmatic goals. Previous to that, Seema was simultaneously a project manager at a web firm consulting with small businesses and NGOs to restructure their web presence while also serving as an associate at the William James Foundation helping new entrepreneurs start socially responsible businesses. She also worked at the World Resources Institute researching market opportunities and innovative business models relevant to populations in emerging economies and writing blog posts for their NextBillion.net: Development Through Enterprise interactive portal. Seema also served as an intern at the United Nations Environment Programme in Nairobi, Kenya researching environmental policies and capacity building practices in various African countries. Seema holds an M.A. in International Relations and Environmental Policy from Boston University and a B.A. in Environmental Studies with a minor in Peace Studies and Anthropology from Loyola University Chicago.